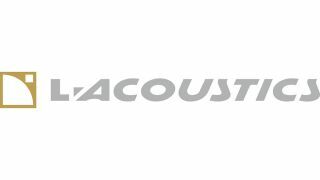 The What: L-Acoustics has launched the LA12X amplified controller, the first L-Acoustics product to receive Avnu certification. The LA4X is anticipated to also receive certification in the coming weeks. A member of the Avnu Alliance since 2015, L-Acoustics has committed its development resources to open standard AVB technology, which streamlines network infrastructure by combining audio signal transmission with system control and monitoring. The What Else: The LA12X and LA4X include built-in AVB functionality, reducing the need for additional costly networking equipment and facilitating set-up and system interoperability. To accompany the LA12X and LA4X, LA Network Manager software has also been updated with an AVB controller, which eases connection with other systems. The Bottom Line: The amplified controllers with new AVB-enabled firmware are currently in a pilot phase with select L-Acoustics partners and will be rolled out widely this spring. All LA4X amplified controllers manufactured since June 2015 and all LA12X ship AVB-ready, which means that L-Acoustics partners will benefit from AVB via a simple firmware update. LA4X manufactured before June 2015 will require an updated DSP card, available through L-Acoustics’ service team.